Probably one of the most useful pieces of kit you can lay your hands on in a commercial freight yard, a Yard Truck is a vehicle designed for moving trailers in or around your premises safely and efficiently. Its nifty design accommodates a hydraulic lifting fifth wheel, which allows the operator to move trailers around without exiting the cab or cranking the landing gear. Once a trailer is in-situ, it can be lowered back to the ground and the fifth wheel can be uncoupled, and all this happens from the safety and comfort of the cab. A great benefit in the heat of an Australian summer or the winter wet. Our Yard Truck rentals can move up to three units, in the same amount of time that a standard tractor would move one unit. That’s efficient! Yard Trucks are perfect for moving and spotting trailers and containers around commercial freight terminals, port facilities, and warehouses. They operate best on well maintained asphalt/concrete or gravel surfaced yards, terminals or docks. In situations where you need to move a trailer across a large site such as mine sites, freight terminals or on the wharf, hiring a Yard Truck can resolve many logistical headaches. 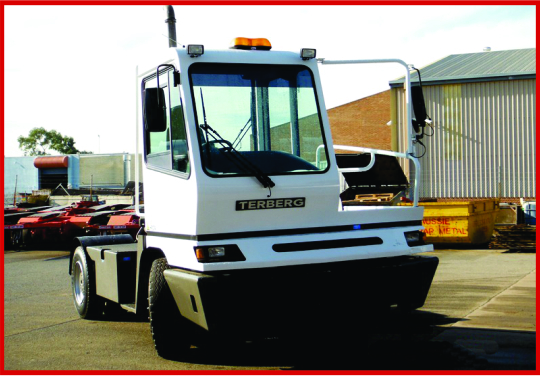 With faster hook-up and release, and a tighter turning radius than a regular cab, a Rentco Yard Truck increases productivity at warehousing, manufacturing plants, distribution centres, freight yards, cross docks, construction sites, ports, rail operations, and more. Whatever your situation, we’re confident we’ll have the right truck hire for the job. We’ve built our business reputation on quality and service. Every vehicle in the Rentco truck hire fleet is thoroughly checked by our in-house maintenance team before it is handed over to you. Talk to us about your specialised needs and we will find a solution. With outlets in Perth, Adelaide, Melbourne, Sydney, Brisbane, Townsville and Darwin, you enjoy the benefit of local service and a national network and a 24/7 national breakdown support service.